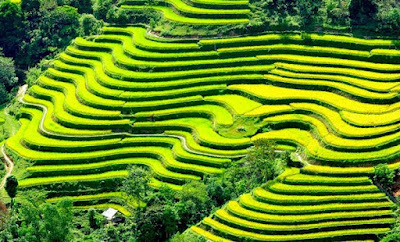 Vietnam has a great number of attractive and dreaming stunning beauties from north to south since our country has a really long coastline. 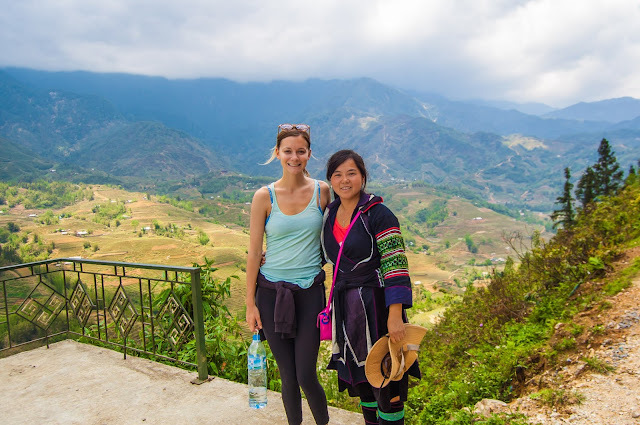 Today, we will lead you to the very end of Vietnam which has best beaches for escaping from the awful heat of this extreme summer. 1,2,3…Go! 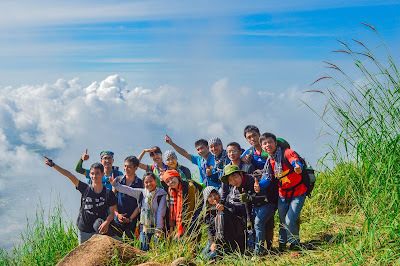 Bai Truoc, or “Front Beach,” is set between Nui Lon mountain and Nui Nho mountain, and is nearest to the actual town of Vung Tau. Locals also refer to the beach as Bai Tam Duong, or “Searching for the Sun Beach.” The beach is shaped like a crescent and lined with coconut trees. Despite the pleasant surroundings, the water is not very clean because of the nearby offshore drilling and the ferry port. 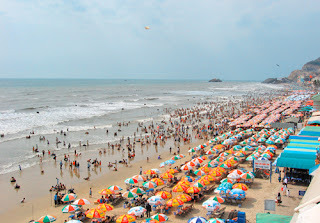 Instead, tourists usually take advantage of the many kiosks, open-air restaurants and bars. Rough Guides recommends “an evening stroll, and perhaps a light seafood meal” at Bai Sau, or “Back Beach.” This 6-mile stretch of sand is Vung Tau’s most popular beach. While a good spot for swimming, strong undertows are present in some areas. 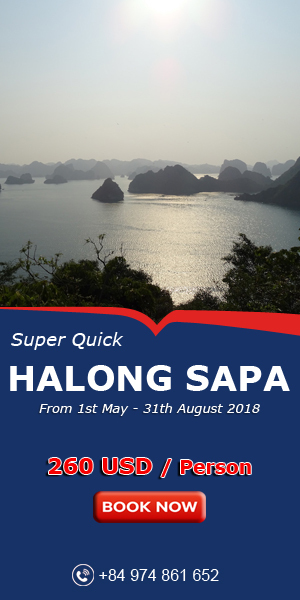 Interestingly, the sea normally is calm during the rainy season, but frequent high winds can cause big waves during the dry season. 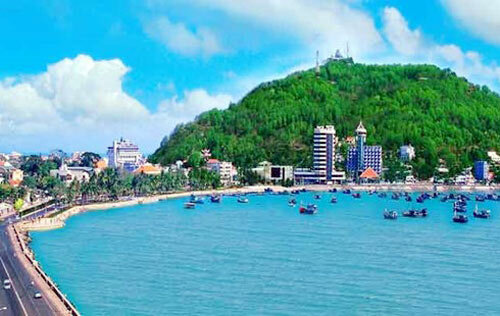 The calm waters and idyllic sunsets make Vung Tau’s smallest beach very popular among tourists. Bai Dua, or “Pineapple Beach,” gets its name from the wild pineapple trees growing along the shore. 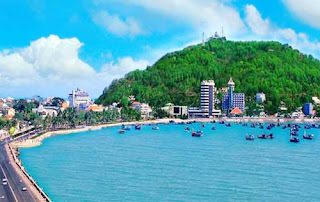 The beach is located at the foot of Nho Mountain. The rocky cove is a local favorite because the water usually is much cleaner than that of the other beaches nearby. 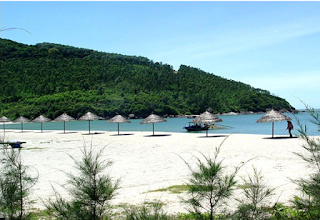 Paradise Beach beach actually is an annex of Back Beach that was purchased by a Taiwanese company in 1994. The company built a resort, and reserved the northern end of the beach for private use. Tourists can access Paradise Beach by paying an entrance fee. 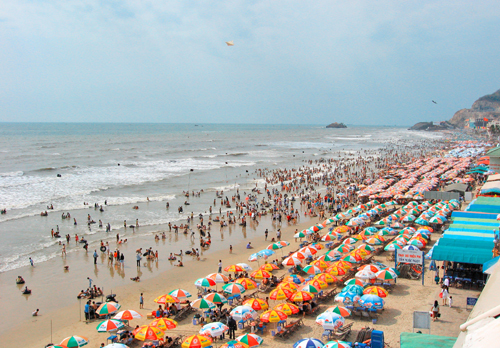 As part of the attractions, the prices of the food and drink usually are two times more expensive than Vung Tau’s other beaches. 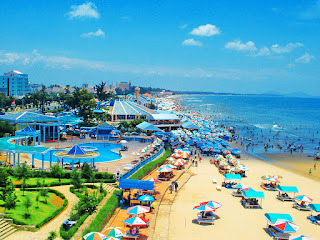 This beach is popular with tourists from other Asian countries.